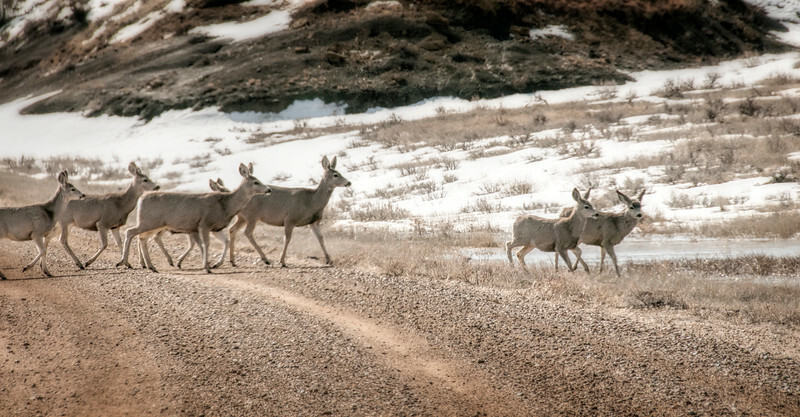 mule deer cross the gravel road of highway 16 near Marmarth. You can own this print. Just click the "buy" button for product options.